Homestead Definition | What is Homesteading? homestead is a house and the farmland that it’s on. This simple definition is both broad and flexible enough to encompass anything from a completely self-sufficient rural farm to the suburban mom who seeks to grow food in her backyard garden, preserve and can her own food, and simplify her life. To what extent one takes that concept depends on the interests, talents, and time available from the individual as well as the location of the homestead. Most homesteaders are also good problem-solvers and planners. At one end of the homesteading spectrum is the completely self-sufficient, independent family or individual. These “off grid” types seek to divest themselves of all reliance on modern conveniences. Many eschew even a simple connection to the power grid, preferring to generate electricity by solar or wind power. These self-sufficient homesteads are typically found in rural areas where crops and livestock can be raised and food sources supplemented through hunting. Many such rural homesteads provide eggs, meat, dairy products and grain right from their own farms. What cannot be used in season is canned, dehydrated or stored for later consumption. A blended homestead combines modern conveniences and luxuries with some degree of self-sufficiency. Such a homestead may be found in any environment: urban, suburban, rural. These are families or individuals with a desire or love for one or more aspects of homesteading, but who have neither the time nor the interest in committing to a fully self-sufficient lifestyle. One family following this model may how to grow and can vegetables, but have no interest or desire to raise livestock. Another may love keeping backyard chickens but purchases feed from the store instead of raising it. Some homesteads may even be found in the middle of cities! 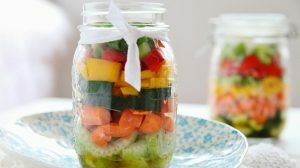 An urban homesteader may enjoy home sewing, canning fresh jam made from produce purchased at the local farmer’s market, and growing herbs and small vegetables on an apartment balcony. Just because someone lives in a condo or an apartment doesn’t mean that they can’t enjoy many aspects of homesteading. You can begin your own homesteading journey wherever you live and in whatever circumstances you find yourself. Concepts of simplicity, natural living, and do-it-yourself can be expanded at your own pace to create your own unique homestead journey. You don’t need to live in a log cabin with chickens scratching in the yard to have an ‘official’ homestead. Urban, suburban or rural homes can become homesteads with the right mindset. Check out this family who sold everything to live off the land. How do you define Homesteading? What is your homestead definition? Let us know in the comments! Homesteading to me is family working together to produce food and other needed items at home. Turning off the electronics and spending time together talking, laughing, learning and working as a team. Feeding animals, planting gardens, sewing, quilting, baking bread, canning. Anything together is a blessing and sense of accomplishment is very rewarding.